Each month in EARTH, we're featuring individuals who inspire us to care for creation. This month, we hear from PEC's treasurer. During the time with the children in a worship service in September 2015 I learned the children of my church were using their offering of quarters in children’s church to raise money to buy beehives through Heifer International. With the children gathered around her, Allison showed the congregation the peace pipe they are using to collect the quarters. She explained the vital role bees play in the environment and food production and how having bees helps a family and community sustainably improve their lives. These little creatures are vital to food production around the world and are suffering from climate change. On the peace pipe the amount of quarters needed for a hive of bees is marked with a bee sticker. 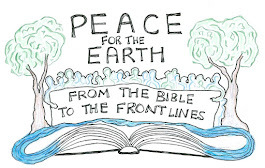 Every Sunday morning at children’s church the children share their celebrations and concerns, pray together and place their quarters in the peace pipe. 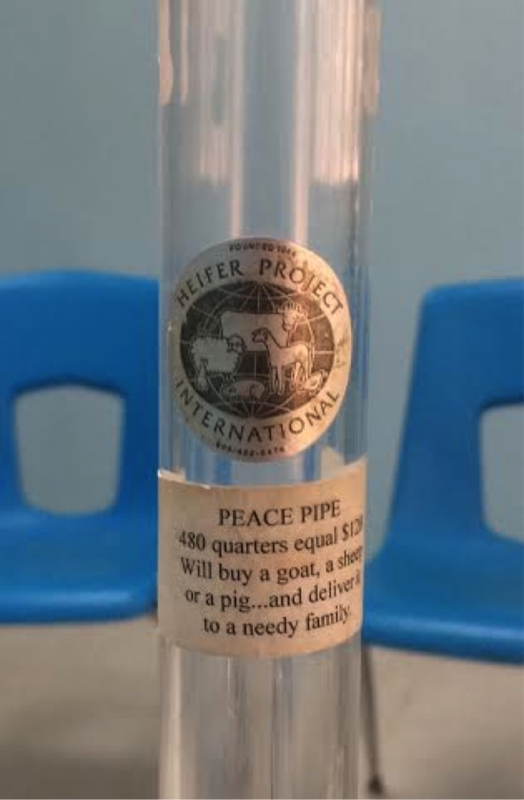 So far this school year the children are close to having enough quarters to buy two beehives to help two families and communities through Heifer International. I am so proud of the young children of my church and their care for God’s creation. If you'd like to contribute, please see the contact information below.